This valuable resource for people working with adults with learning disabilities provides over 60 sessions of fun and engaging activities that aim to entertain and stimulate the minds of people with learning disabilities. The sessions are divided into different types of activity including cookery, arts and crafts, drama and dance, and outside events. A comprehensive collection of varied and enjoyable activities, this practical book also contains useful tips to ensure that sessions run smoothly. All the activities are tried and tested by experienced practitioners and include a key advising the level of help required, wheelchair user suitability and any related health and safety issues involved. Ideal for use in social clubs or residential homes, this is an essential resource for professionals and volunteers working with adults with learning disabilities. The authors have worked with thousands of kids and teens who struggle with an area of cognitive functioning called 'processing speed'�and who are often mislabelled as lazy or unmotivated. Whether it's completing homework, responding when spoken to, or getting dressed and ready for school, these kids simply take longer than others to get stuff done. Now parents have a crucial resource that demystifies processing speed and shows how to help kids catch up in this key area of development. By following the authors' specific pointers�illustrated with vivid stories and examples�parents can make daily routines less frustrating and more efficient, decide when and how to get a professional evaluation, obtain needed support at school, and build their son or daughter's skills for success. Helpful practical tools can be downloaded and printed in a convenient 8 1/2�� x 11�� size. Suitable for parents of 5-18-year-olds; also of interest to educators and mental health professionals. The first half of the book describes the working memory model and goes on to consider working memory development in typically developing children. The second half of the book considers working memory development in several different types of atypical populations who have intellectual disabilities and/or developmental disorders. In addition, the book considers how having a developmental disorder and/or intellectual disabilities may have separate or combined effects on the development of working memory. Children learn in unique ways - Here's the key to every child's learning success. Includes "learning style" assesments for all ages. Does your child learn best in the morning, afternoon or evening. Does his reading comprehension increase or decrease when music is played in the background? Does she prefer to study alone or with others? This book shows you how to assess and nurture your child's individual learning potential based on his/her talents, interests, disposition, preferred environment and so on. Help your child excel at school, and in life as well. Highlights the brain's extraordinary capacity for positive change. Jensen questions the "deficit-ridden" models in current education, including the value of standardized testing. Suggesting that certain forms of schooling actually shortchange young brains, Jensen offers solutions. He calls for an enrichment-based educational framework that emphasizes customized schooling for every learner from underachievers to the gifted. He goes on to show how the way we teach, parent, or run our schools can dramatically enrich brain capacity. In fact, we can now enrich over 90 percent of all learners, including those in poverty, with special needs, in pre-school, and of course, the gifted. Concise and practitioner friendly, this bestselling guide has helped put executive skills on the map for school-based clinicians and educators. The book explains how these critical cognitive processes develop and why they play such a key role in children's behavior and school performance. Provided are step-by-step guidelines and many practical tools to promote executive skill development by implementing environmental modifications, individualized instruction, coaching, and whole class interventions. In a large-size format with convenient lay-flat binding, the book includes more than two dozen reproducible assessment tools, checklists, and planning sheets. The Publisher grants individual book purchasers nonassignable permission to reproduce selected materials in this book for professional use. 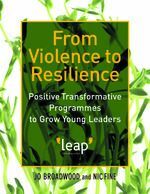 This manual, based on approaches used successfully by Leap Confronting Conflict, is a guide to designing and setting up transformative programmes and targeted interventions with young people. The manual is packed with exercises and activities and includes full guidance notes and tips on setting up and facilitating the workshops. A fresh and timely approach to understanding the profound impact of motor development on children of all ages and stages. This book provides parents, teachers, and other professionals with the tools to give every child a head start and a leg up. Because early motor development is one of the most important factors in a child's physical, emotional, academic, and overall success, the In- Sync Program of sixty adaptable, easy, and fun activities will enhance your child's development, in just minutes a day. Discover how simple movements such as skipping, rolling, balancing, and jumping can make a world of difference for your child--a difference that will last a lifetime. Provides special education teachers, therapists and parents with practicl, easy-to-implement ideas for creating over 80 different work tasks or boxes to be used to teach students to work independently and for an established length of time. Contains classroom and home-tested ideas for addressing skills in six different areas: sorting, matching, reading, writing, mathematics, and motor tasks. The ideas are designed for early learners, ages two to ten. Energize adolescents with memorable and engaging learing experiences! Based on brain-compatiible teaching principles, this updated edition shows how to use stimulating interactive learning experiences to connect teenagers with content. Teachers will find activities and ideas for introducing each learning experience and will discover how to design and assess their own. This book is pure good fun. Presented beautifully on quality paper and full of colour it is just so inviting. Mind Mapping is a breakthrough system of planning and note-taking that cut homework time in half and makes schoolwork fun. They make it easy to remember information, planning is a doddle and getting stuck for an answer a thing of the past. Tony Buzan shows kids how Mind Mapping can help kids to remember things, make clearer and better notes, revise, come up with ideas, unlock the imagination, save time, concentrate, and ace exams. Mind Map genius Tony Buzan shows kids how easy it is to become the master of their memories and succeed at school with his unique combination of learning tools. Here he shares the amazing memory techniques behind his master mind and shows kids how they too can become champions of their own memories and enjoy greater self-esteem and success in everything they do. Grow in self-confidence and ability. A whole-school approach that identifies LLD students and offers suggestions for teaching and learning strategies to address this difficulty in various school contexts, especially in subject areas. The emphasis on modifying the curriculum and employing explicit teaching strategies for these students is supported by many case-study examples and practical recommendations are made through the use of photocopy masters. Offers the latest information about reading problems and proven, practical techniques that, along with hard work and the right help, can enable anyone to overcome them. Here are the tools that parents and teachers need to help the dyslexic child, age by age, grade by grade, step by step. Play Matters provides information, examples and practical strategies for classroom teachers wishing to explore and implement the Developmental Curriculum (play and project based curriculum) into the learning environment. Play is often viewed as the reward for when real work is complete. This is not how the term is used in the Developmental Curriculum. Play is part of the learning and work of children. A play and project based curriculum has its foundations in the developmental perspective that recognises that children are not only biologically influenced in relation to their learning and development, but also shaped through the influences and experiences they are exposed to in their environments. It emphasises that learning is much broader and richer than just literacy and numeracy and is focusing parents, teachers and children on the 'whole' child. This book highlights that the way young children learn in the early years of school, and the teaching and learning strategies that are required for this learning, are distinct and unique compared to the ways for older children and adults. Aimed at early-learning and primary school staff, Play Matters provides examples describing experiences of schools using the play and project based approach as well as strategies for how to implement the approach. designed for schools that want to really focus on positive reinforcement of their students' confidence. Covers a wide range of issues which affect self esteem and self worth. Each topic has an introduction and an activity page and full instructions on carrying out the activity. All supplementary materials are supplied on a CD-ROM for ease of reproduction. Part One deals with the child's self image. It explores developing self-awareness and helping the child to realize that it really is 'Good to be me.' The activities help children to understand their feelings and to understand why and how those feelings lead them to behave the way they do particularly the feelings of being excited, proud, surprised, hopeful, disappointed, worried and anxious. Part Two covers children's beliefs and attitudes towards others. Building strong relationships with others has a huge impact on self confidence and these skills are developed in the same activity based way. 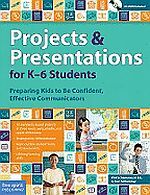 Build children's proficiency with oral and written communication, promote social and emotional learning (SEL), and allow students to work toward standards while developing critical skills they'll need in later grades. This practical sourcebook is packed full of fun, low-cost games and activities that encourage the development of motor skills, coordination and sensory tolerance in young children. Scientists who study child development have recently found that kids who are "smart but scattered" lack or lag behind in crucial executive skills�the core, brain-based habits of mind required to �execute� tasks like getting organized, staying focused, and controlling emotions. Drawing on this revolutionary discovery, school psychologist Peg Dawson and neuropsychologist Richard Guare have developed an innovative program that parents and teachers can use to strengthen kids� abilities to plan ahead, be efficient, follow through, and get things done. Smart but Scattered provides ways to assess children�s strengths and weaknesses and offers guidance on day-to-day issues like following instructions in the classroom, doing homework, completing chores, reducing performance anxiety, and staying cool under pressure. Small steps add up to big improvements, enabling these kids to build the skills they need to live up to their full potential. More than 40 reproducibles are included. Things to Know & Ways to Help. For the maths whiz who can't read, the budding artist who can't spell or solve a simple equation, the co-ordinated athlete with the undecipherable handwriting, school is a conundrum. This optimistic book provides specialist remedial programs as well as effective methods to break the cycle of anger, fear, pressure, self-doubt and frustration, making it possible to turn school failure into school success. SRA's DISTAR is one of the most successful beginning reading programs available to schools. Research has proven that children taught by the DISTAR method outperform their peers. Now, this program has been adapted for use at home. In only 20 minutes a day, this remarkable step-by-step program teaches your child to read--with the love, care, and joy only a parent and child cane share. Proven, powerful strategies and techniques to help any student become a successful learner, regardless of whether they are considered, slow, remedial, LD, ESL or disadvantaged. Over 50 reproducible forms and handouts plus extensive resources. A major message is that what works best for students is similar to what works best for teachers a " an attention to setting challenging learning intentions, being clear about what success means, and an attention to learning strategies for developing conceptual understanding about what teachers and students know and understand. Discover how to use visual strategies and activities to help students think critically about the way they understand and perceive the world.